The Internet disruption that affected North Korea’s Internet link earlier this week lasted almost two days, an Internet monitoring company said Friday. It began just before 0100 GMT on Wednesday — that’s 10am local time — and continued for much of the next day and a half. It then took several hours for traffic levels and response times to get back to normal, said Internet network monitoring company Renesys. 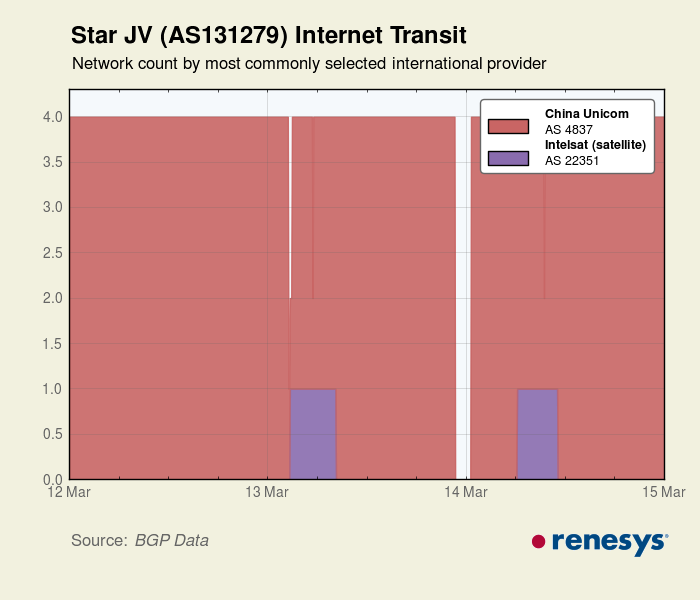 The country typically relies on a link via China Unicom to connect to the rest of the world and this disappeared from global routing tables when the outage began, said Renesys. Routing tables are constantly updated virtual road maps to the Internet that are used to route data packets. 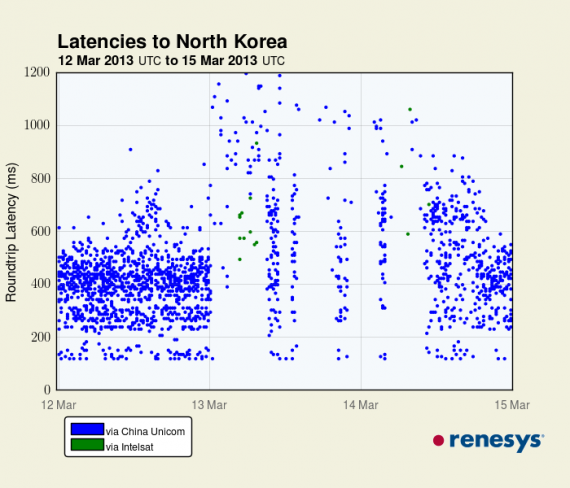 Soon after, the routing tables began showing again links into North Korea but with part of the country’s connection switched over to a back-up satellite Internet connection via Intelsat. However, that didn’t help traffic. Here’s a graph of latencies — the amount of time it takes a server to respond. 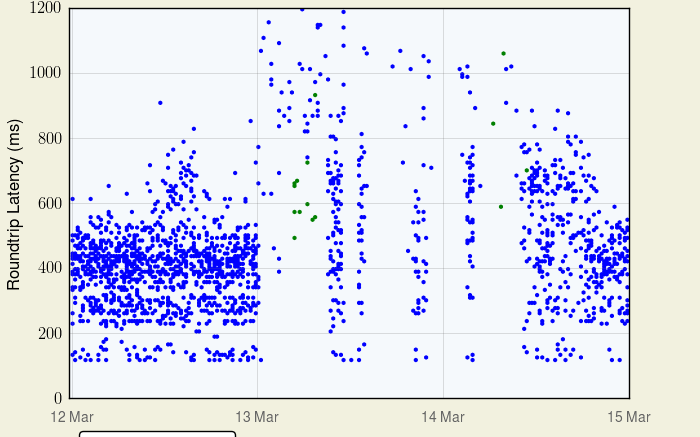 The beginning of the outage is pretty obvious and its effect is obvious too, Latencies immediately climbed, in some cases to more than 10 times normal. What the chart doesn’t show is the connections that never succeeded. There were a few periods when connectivity returned to near-normal levels but things didn’t begin returning until midway through Thursday GMT, which is late evening local time in Pyongyang. By Friday morning, latency was back to normal. Renesys didn’t offer an explanation of what might have been behind the problems. KCNA has blamed the U.S. and its allies for attacking its network, although there’s no evidence either way. This graphic shows that North Korea’s entire Internet disappeared from global routing tables at least once during the outage.